Lahita Engineering was contracted to design a timber framed staircase for one of PSE&G’s Facilities. The staircase was installed at the back entrance of the substation, and up a steep hill. A 3-D Model was generated and analyzed in Risa 3D in order to evaluate the bearing capacity of the proposed sonotubefoundations, and to determine the size and layout of the timber superstructure. 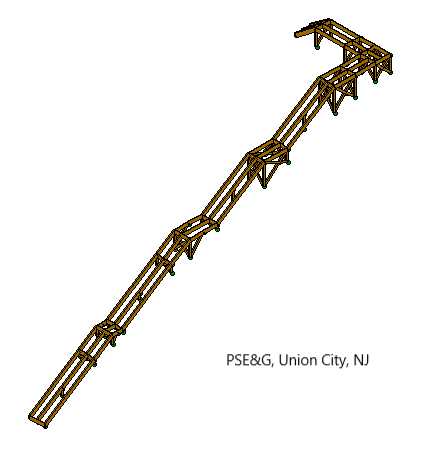 Lahita Engineering was tasked with the design of a pipe rack structure to support new pipe lines in Carteret NJ. The structurewas designed to safely support the new pipes by use of a cantilevered beam system. Lahita Engineering was contracted to design the façade support system for this Montclair garage. 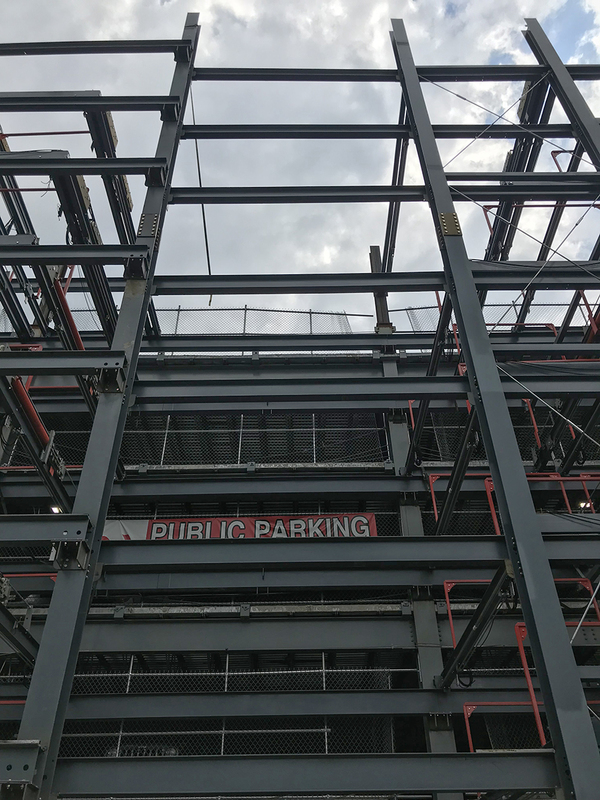 A thin brick system was utilized, supported by cold formed steel box beams and posts tying into existing hot rolled steel columns and CIP spread footings. Lahita Engineering was asked to provide design calculations for the installation of aluminum canopy structures at a local high school. 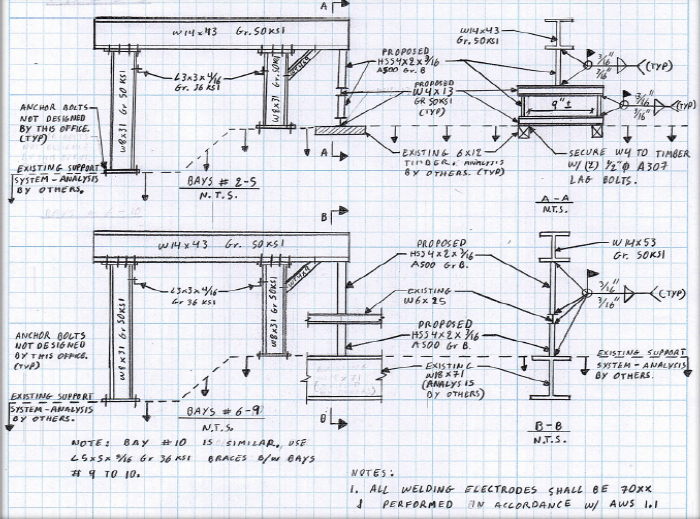 Two canopies were designed; one deriving support from a hanger rod system, and the other simply supported on masonry columns.